The 2016 Sundance Film Festival premiered last night and I couldn't be more excited! I went to the festival last year with an awesome group of girls to celebrate my sister Zuzy's 40th birthday and we had an incredible time. This year I'm going back with an equally awesome group of girls for Ally's bachelorette party! I wanted to write a post about the festival and some useful info for current or future festival-goers! 1. 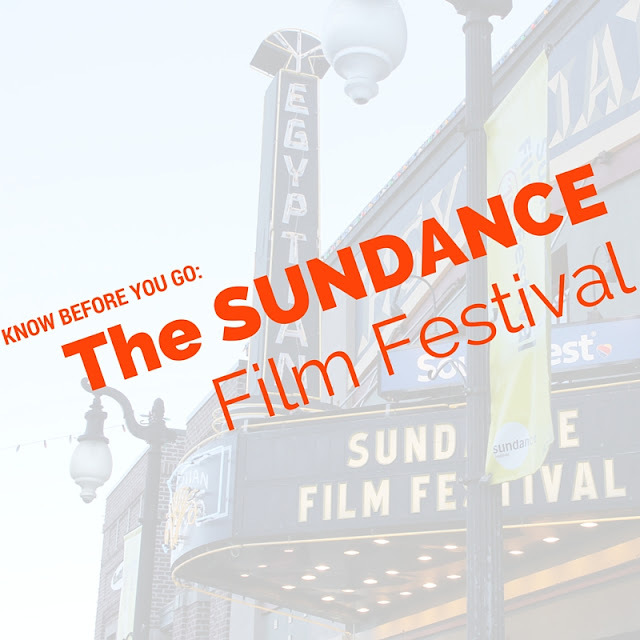 When to Go - The Sundance Film Festival lasts for two weeks. If you want to go see celebrities and are less interested in the films, the first weekend is definitely your best time to go, but if you're looking to see films and enjoy the actual festival, I recommend the second weekend. Don't worry, though, you'll still see some celebrities! Last year, I saw Robert Redford (swoon! ), Sarah Silverman, and Viola Davis! 2. Where to Stay - Downtown Park City is approximately 2 inches long. Seriously. It is the tiniest, most adorable little town I've ever seen and it is beautiful! During the festival, there are shuttles that run early in the morning until 3 am shuttling festival-goers around. If you can stay in a condo outside Park City that's close to a shuttle stop, I highly recommend it. Taxis are few and far between and Uber will cost a fortune. We stayed about a mile outside Park City last year in a condo that had a fireplace and a hot tub in the living room. It was amazing. 3. How to Dress - You want to think less Hollywood glitz and glamor and more ski bunny at Sundance. After all, Park City is a ski town and you can literally see skiers sliding down the slopes from Main Street with ski lifts skimming the rooftops. It snowed the entire time we were there so good snow boots, a heavy winter coat, hat and gloves are essential! Don't forget your sunglasses! The snow glimmering of the mountain is blinding at times! 4. Utah Liquor Laws - Utah has the strictest liquor laws in the country and is important to understand what they are. First, beer has a lower alcohol percentage than in other places (anything over 4% is considered liquor), so if you're looking for strong beer, stick to bottled, rather than what's on draft. If you're drinking wine or hard liquor, you aren't allowed to order a second drink until you've finished your first drink. You also can't order alcohol until you've ordered food. This was only a problem when we went to one restaurant and had terrible service. If you really want to drink, I recommend shopping at a nearby grocery store and picking up some booze for before you go out. 5. The FILMS - The films are the best party of the festival! The films take place at different theaters all over Park City. I highly recommend seeing something at the historic Egyptian Theatre. Tickets are sold in packages and, starting the first week of the festival, individually. Purchasing tickets can be a process but if you don't get any, don't worry, the E-Waitlist is a great option! Here's how it works: two hours prior to the film you want to see, you check into the film via the Sundance app. You'll get a number and then you line up in numerical order at the theatre shortly before the film starts, and they allow in however many empty seats they have. It sounds like a gamble but I got into every movie I tried to last year. BRING CASH! If you get into the films via the E-Waitlist you can only pay with cash. If you're opting for the E-Waitlist, definitely aim for films at the Ecclester Thea, which is a high school auditorium, and has plenty of seats! What do you think? Does Sundance sound like something you'd like to attend? Have you been to Sundance? What would you add to this list? Oh! The winner of the giveaway for Mindy Kaling's "Why Not Me" is Kristen from See You in a Porridge!